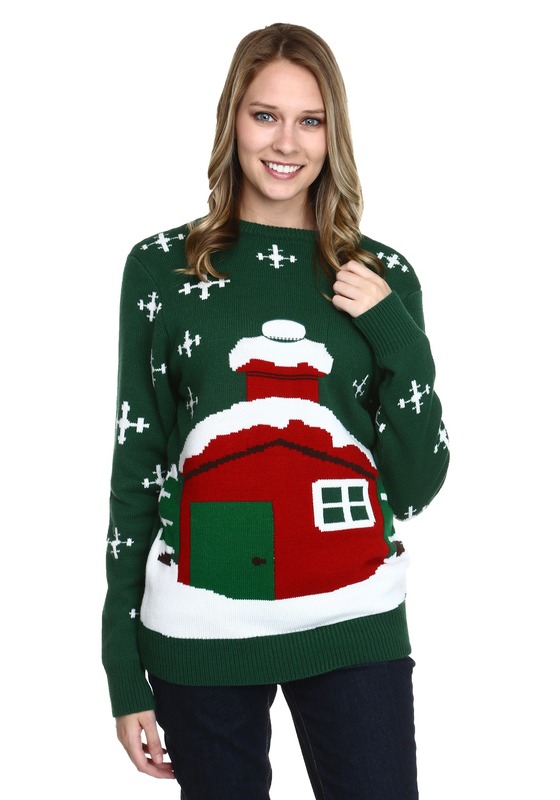 This sweater is going to become the new family Holiday tradition. Get one for everyone in the family! Take your family picture while wearing it. Go to church, go to the big get together with the fam! This Stuck Santa Ugly Christmas Sweater will make everyone you see laugh, or possibly feel really bad for Santa... because he's stuck in there, and nobody has any idea how he's getting out of there. It's a real scene.